Scripture teaches that as a result of Original Sin, God would “greatly multiply” the pangs of labor not only for Eve, but for all women. Many Fathers of the Church and theologians down through the centuries deemed it fitting that Mary alone would be exempt from such pains as a sign of her unique holiness. Thus, Mary’s freedom from the pains of labor is one of many reasons for belief in the Immaculate Conception of our Lady. The Church has taught this as well on the level of the Ordinary Magisterium, but not with the same degree of authority with which she has taught Mary remained an “intact” virgin in giving birth to Jesus. However, we should note the fact that it has been taught on the level of the Ordinary Magisterium and that it was taught by many fathers of the Church. This is significant. While there is certainly no argument from necessity here, and this teaching is a matter of legitimate debate in the Church today, we argue it to be most fitting as a sign of hope for the entire body of Christ. All can see in this unique gift to Mary a sign of the ultimate deliverance from all bodily pain and suffering that awaits the Church. Analogous to God preserving the Mother of God in virginal integrity in giving birth to our Lord, Mary demonstrates in a more profound way both the truth of the Immaculate Conception and the saving power of Christ in preserving her from this effect of Original Sin. Moreover, when we consider Mary in one of her many titles demonstrating her sinlessness – “the beginning of the new creation” – (for more on this, check out my book, “Behold Your Mother“) a topic we will cover in a future blog post, how fitting indeed is it that the “new creation” would be inaugurated without the pains of childbirth—one of the principle effects of sin in the first creation. What evidence do we have for this belief? 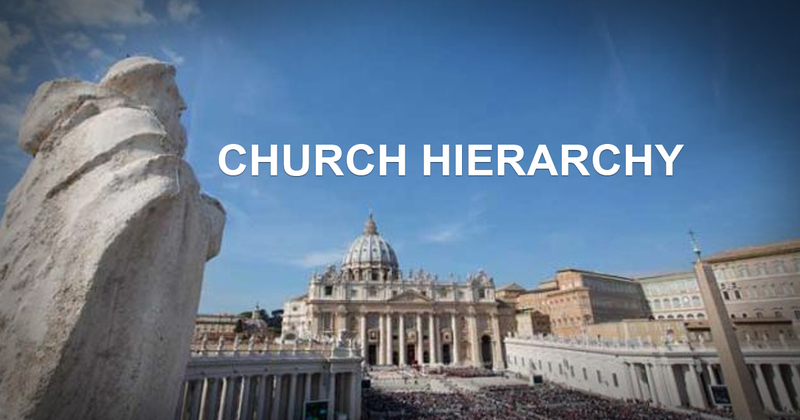 We will examine it from three sources—Scripture, history, and the teaching of the Catholic Church as it is communicated to the faithful through both Magisterial teaching and in the Liturgy. And we will then examine some of the most common objections. Listen, an uproar from the city! A voice from the temple! The voice of the Lord, rendering recompense to his enemies! Before she was in labor she gave birth; before her pain came upon her she was delivered of a son. Who has heard such a thing? Who has seen such things? Not only do we find the Fathers of the Church referencing this text as referring to the miraculous birthing of Christ, but we find it difficult to apply it in its fullest sense to anything else. Some critics will say the fact that Mary “brought forth” Jesus would mean she experienced labor pains. Not necessarily. The teaching claiming Mary was freed from labor pains would agree Mary “brought forth” Jesus, but miraculously aided by God. There would be no reason not to use the language of Mary having “brought forth” Jesus. According to St. Thomas Aquinas (who references St. Jerome), Mary being depicted as “wrapping” and then “laying” Christ in a manger is an indicator that she did not endure the normal pains of labor. Even in our day, doctors or nurses would do this kind of work. In the first century, it would be a mid-wife. Yet the Bible seems to indicate Mary did this by herself. The Gnostics of the first centuries of the Christian era were prolific. And as a result, we find much of Christian writing during this period to be apologetic responses to Gnostic claims. Not surprisingly, Gnostic writers affirmed Mary’s freedom from labor pains because they characteristically denied Christ possessed a physical body at birth. Mary would naturally be free from pain in bringing forth a phantom Christ. These are Coptic Christian hymns discovered in 1909 and dated to the late first century or early second century. Their emphasis on Christ’s physical body indicates that they are not Gnostic. Note the mention of Christ “[taking] on [human] nature.” These ancient hymns seem to acknowledge Mary’s freedom from the effects of original sin in childbirth as a matter of history, rather than for a particular theological reason. He became like me so I could receive him, he thought like me so I could become him and I did not tremble when I saw him for he was gracious to me. He took on my nature so I could learn from him, took on my form so I would not turn away. They became the limbs of my body and I was their head. The Spirit opened the Virgin’s womb and she received the milk. The Virgin became a mother of great mercy; she labored, but not in pain, and bore a son. No midwife came. The Ascension of Isaiah also dates back to the first and second centuries and the Jewish part perhaps before the first century. 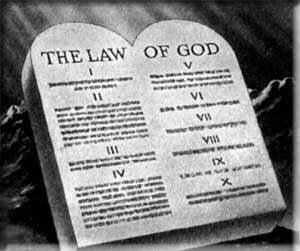 It is noteworthy that it may well have been alluded to in the New Testament—in Hebrews 11:37. In the midst of referencing the great and heroic virtue of men and women of the Old Covenant, the inspired author of Hebrews here mentions that “they were sawn in two” just as the Ascension of Isaiah recounts of Isaiah. This work shows heavy Gnostic influences, but because it was most likely alluded to in Scripture, it is worth considering. And while they were alone, Mary looked up and saw a little child, and she was frightened. And at that very moment her womb was found as it had been before she had conceived. The absence of labor pains and the sometimes crudely realistic examinations carried out by the midwife and a woman named Salome, who was then punished for her unbelief, confirm Mary’s virginity in the act of giving birth. At the same time, the realism with which the Lord’s birth is described leads one to think that the apocryphal gospel means to oppose the error of Gnostic Docetism, which considered Christ’s body to be a mere appearance or phantasm. Because this work was anti-Gnostic in nature, it gives a strong argument for the belief of Christians to coincide with Gnostics concerning this matter of Mary’s freedom from labor pains. As Gambero mentioned, the author went to great lengths to make it clear that Jesus possessed an actual body and Mary was actually pregnant, yet that she gave birth in a miraculous fashion. For Behold, [the prophet Isaiah] saith, the Virgin shall conceive and bring forth a son: and he, being God, is to be with us… And yet, concerning his birth the same prophet says in another place: Before the pains of travail came on, she escaped and was delivered of a man-child (referring to Is. 66:22). His conception did not result from the union of two humans; his birth was not polluted in any way: there were no labor pangs; his bridal chamber was that of the power of the Most High, which covered virginity like a cloud; the bridal torch was the splendor of the Holy Spirit; his bed was a personal condition devoid of vices; his nuptials were incorrupt . 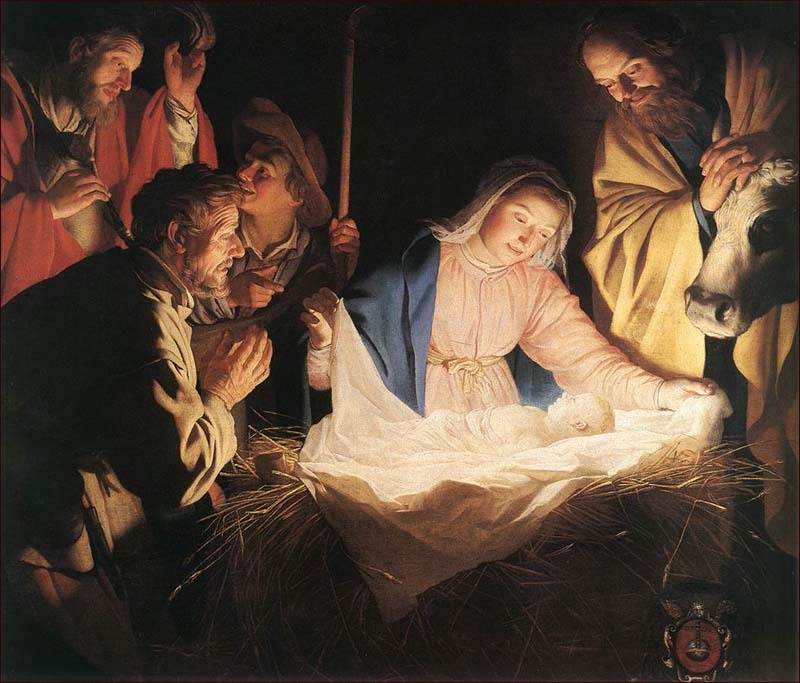 . . his birth alone occurred without labor pains… “Before the pangs of birth arrived, a male child came forth and was born” (Isa. 66:7) . 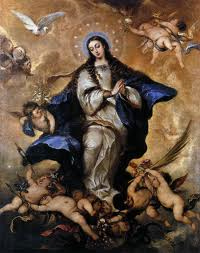 . . Just as she who introduced death into nature by her sin was condemned to bear children in suffering and travail, it was necessary that the Mother of life, after having conceived in joy, should give birth in joy as well. No wonder that the angel said to her, “Rejoice, O full of grace!” (Luke 1:28) With these words he took from her the burden of that sorrow which, from the beginning of creation, had been imposed on birth because of sin. What, then, is the mystery celebrated in yesterday’s solemnity? The unexplainable mystery of the divinity and the humanity, a birth that leaves the Mother uncorrupt, an Incarnation that gives a form to the incorporeal Divinity, while it undergoes no passion, an extraordinary birth, a beginning for a generated One who has no beginning. She conceives as a virgin, she gives birth as a virgin, and she remains a virgin. Therefore, her flesh knows the power of the miracle but does not know pain. In giving birth, it gains in integrity and knows nothing of physical suffering. His birth was in accordance with the laws of parturition, while in that it was painless it was above the laws of generation. For, as pleasure did not precede it, pain did not follow it, according to the prophet who says, Before she travailed, she brought forth, and again, before her pain came she was delivered of a man-child (Is. 66:7). But as the Conception itself transcends the order of nature, so also the birth of our Lord… just as the rays of the sun penetrate without breaking or injuring in the least the solid substance of glass, so after a like but more exalted manner did Jesus Christ come forth from his mother’s womb without injury to her maternal virginity. From Eve we are born children of wrath; from Mary we have received Jesus Christ… To Eve it was said: In sorrow shalt thou bring forth children. Mary was exempt from this law, for preserving her virginal integrity inviolate she brought forth Jesus… without experiencing, as we have already said, any sense of pain. It seems fitting: Eve’s sin is causally linked to labor pain. The New Eve was uniquely free from the sin of Eve and did not experience that pain. Indeed, we would argue it would seem contrary to our sense of Jesus and Mary as the “New Adam” and the “New Eve” and—as we have seen—together the beginning of the New Covenant—to inaugurate this great and glorious covenant by experiencing pains that were the result of failure in the Old. [Mary] indeed conceived without shame, gave birth without pain, and went hence without corruption, according to the word of the angel, or rather (the word) of God through the angel, so that she should be proved to be full, not merely half filled, with grace and (so that) God her Son should faithfully fulfill the ancient commandment that he had formerly given, namely, to treat one’s father and mother with honor. In your divine wisdom, you planned the redemption of the human race, and decreed that the new Eve should stand by the cross of the new Adam: as she became his mother by the power of the Holy Spirit, so, by a new gift of your love, she was to be a partner in his passion, and she who had given him birth without the pains of childbirth was to endure the greatest of pains in bringing forth to new life the family of your Church. Behold! The Image of the Father and his unchangeable eternity has taken the form of a servant. Without suffering he has come forth to us from an all-pure Virgin, and yet he has remained unchanged. He is true God as he was before, and he has taken on himself what he had not been, becoming man out of his love for all. Therefore, let us raise our voices in hymns, singing: O God, born of the Virgin, have mercy on us. The liturgy of the Church has always been an exemplary tool of catechetics and moral certitude theologically as well as the primary instrument of our spiritual nourishment in Christ. Thus, the fact that the Church asks all her children to affirm Mary’s freedom from the pangs of labor in liturgical prayer at Mass is a testimony as to the authority of this teaching of the Church. If you enjoyed this and want to learn more, click here. The Lord’s Day or the Sabbath?